I’ve seen this included in many people’s end of year lists, but it can’t be overstated how good the moment a few seconds into I Like It when the beat drops is. A party song everyone knows perfectly well begins and then suddenly we are hit with a breeze-block sized hip-hop beat. To say it was life changing might be a bit ridiculous, but it’s the exact moment that Cardi B went from surprisingly successful reality star to the biggest rap artist in the world. I literally tweeted seconds after hearing it that it was going to be huge and 7 months later it still makes me feel like summer. 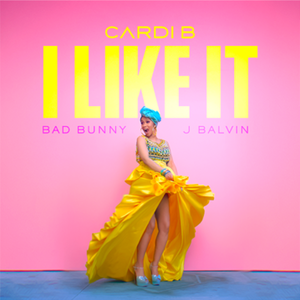 Of the Latin crossover hits that have quickly become trend jumping now, I Like It manages to feel 100% natural, allowing Bad Bunny and J Balvin to deliver knockout verses of their own. There was the world before I Like It and Cardi B’s world after it. I can still remember watching the Grammys back in February of this year as the video debuted for The Middle. 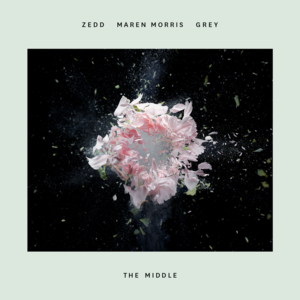 Established EDM act writing and producing another smash hit is no big surprise, Zedd certainly knows his way around a song, but Maren Morris becoming the breakout pop star of the last few years whoever would have guessed? (Well me, but lets’ not dwell on that). So instantly infectious, the use of the car indicator ticking throughout is so devilishly catchy that I wonder if Zedd even realises the power he has over the listener. Maren is an outstanding performer and though much had been said of the long line of singers who had done versions of The Middle, I’m certain no one can deny that the song works because of her powerful delivery. She deserves to be massive after this. Drake has never sounded so joyful. The king of frowny face Hip-Hop released the year’s most out and out feel good rap record thanks in large part to an expertly wielded sample of Lauryn Hill’s classic Ex Factor. You can hear the smile emanating from Drake when he says it’s ‘A song for y’all to cut up to, you know?’ and Nice For What does that and more. It’s a prime example of how a sample can form the basis for an entirely new but equally brilliant song, thanks to the way produce Murda Beatz not only chops up the sample’s lyrics, but Drake’s own. It’s like a club remix of a Drake song, there’s a knowingness that they might as well cut out the middle man ‘original’ song entirely. Drake has done club records before, One Dance and Passionfruit are dance hits, but he’s never had anything so full of life and energy before. 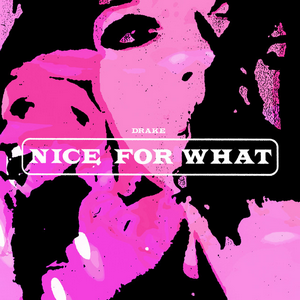 Nice For What was the highest point for a very big year for Drake. Doesn’t Matter might seem like a strange choice of favourite song from Christine and the Queens’ sophomore album Chris given that 5 Dollars is a big singalong moment, while Girlfriend is funky as hell. For me though Doesn’t Matter captures the same push and pull of the listener as Tilted did back in 2016. There’s a breathlessness to the song as if Chris is running as she is singing it, giving it this thrilling edge, especially during the soaring middle 8 section. But the listener feels breathless too, the throbbing bass that explodes into this middle 8 is exceptionally powerful as the rest of the music lilts away to allow for a bigger impact. Her vocals are massive here too, full of a passion and honesty that’s lacking in similar songs from other artists. 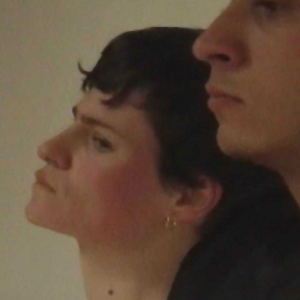 The ad libs that finish the song off complete a song that sets a new bar for its performer, Christine and the Queens remains one of the most exciting artists in pop music. I like that for her she seems to understand that overthinking a song is pointless, allowing Doesn’t Matter to just be the brilliant pop song that it is. Honey was a myth. The pop music equivalent of the lost city of Atlantis, with Robyn teasing demo versions, a honeypot icon on her computer and the existence of a proper version of the song that didn’t feature on the end of an episode of Girls. I didn’t think we’d ever see it happen, saying the same things that I say when people say the original Sugababes are actually going to release music, but Honey IS real and it’s phenomenal. It’s a throbbing club song that captures the movement and the deep gut feeling that environment gives to you. Understated in a way we’ve never heard from Robyn before it gives as much as you put into it, a song you can really explore over the 5 minutes it lasts. A distant cowbell creeps in; backing vocals seem to be there, but also disappear entirely; Robyn pierces through her own vocals with high ad-libs; but the song never explodes into a thudding pop song. Some people may wish for a return to the Dancing on My Own, or Be Mine emotional heartbreak set to danceable music, but in 2018 Honey sounded like the return of a true artist who was ready to explore the genre she sat in so much more than usual. The fact that Honey even exists is a triumph. The return of Ariana Grande in 2018 felt important for so many reasons. Living in Manchester over the last few years has been a surreal experience and I know that some of the people I know who will read this were at the Arena that night. It felt like no matter what Ariana did next, it would be analysed and talked about for much of the year, despite most of us not really know what we wanted it to be. no tears left to cry isn’t the song any of us expected her to return with, but it follows on from something that she said at the One Love concert that I thought resonated with most of her fans. The idea that she should do the hits that day and defy people who would say it was inappropriate to perform certain songs. 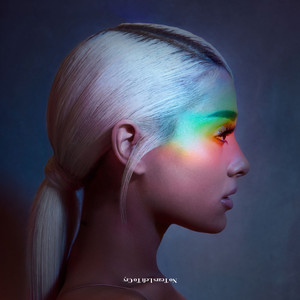 no tears left to cry is a phenomenal pop song, with some intriguing changes in style and tempo throughout. Ariana sounds brilliant too, full of genuine emotion and drama in her vocals, but instantly back to being cheeky and fun in the ‘pickin’ it up, pickin’ it up’ section. It’s a terrific song in itself, not because of its poignancy as her return to music, it simply gives her fans yet another incredible song to love, which to me feels like the best compliment I can give. 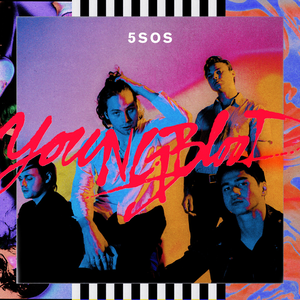 5 Seconds of Summer releasing my favourite boyband song of the decade is surely 2018’s most shocking moment. Seriously though, who knew the boys who released that song about American Apparel underwear had a song as thrilling as this lined up? Each chorus adds something new, but it’s the thundering bass of the first one that has the biggest impact. Youngblood is incredible for every second of its relatively short run-time and no other song on this list leaves me with the instant gratification that the final seconds of this do. The crisp closure of that final ‘Tonight’ is pop gold and 5 Seconds of Summer defy all the odds here with a song that continues to amaze me to this day. 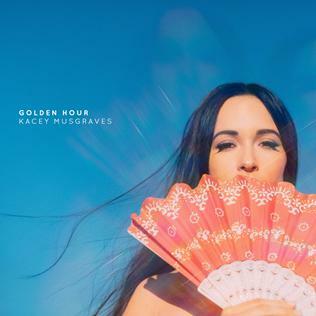 Talk about surprises, Kacey Musgraves taking to the dancefloor and delivering a pop hit still has me baffled, but High Horse remains the peak of Disco Country. It’s such a throwback that it actually comes back around to sounding effortlessly cool again. Every ‘Mmmhmmm’ of the chorus is slinkier than the last, while the twang of the guitar riffs make the song swing along like a country classic. It’s sonically so expertly crafted by someone with such admiration for a genre and era that would otherwise be laughed at. The metaphor is obvious, but is tied together perfectly. ‘Yeah, everyone knows someone who knows someone’ is phrased in a way that presents it as if asking for a nod from the listener. It’s a hoe-down dance anthem in 2018 sung by a woman who quotes Drag Race on her Instagram. High Horse makes absolutely no sense and yet ends the year as my most played song. That distant ‘Yeehaw’ you can hear when you hit play is me putting my cowboy hat on. I’m not sure a song has ever so accurately described my feelings towards the song itself than Sucker Punch. That chorus is HUGE. ‘It hit me like a sucker punch, just one look and I’m out of touch, I’m freaking out cos I’m scared this might end bad, but I still come back for that sucker punch’ is the best chorus of the year hands down, absolutely no arguing. Sigrid literally just repeats those same 4 lines again knowing full well that there’s no point trying to better them. The moment when the music drops out before the final chorus feels like the world has dropped out beneath you, it’s extraordinary. 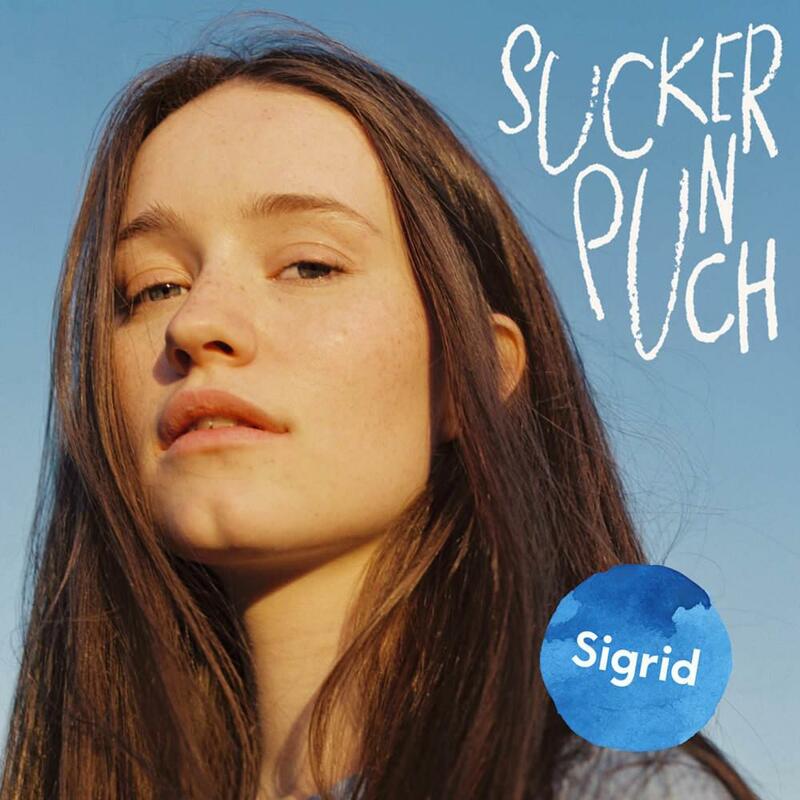 I was waiting for Sigrid’s ‘moment’ and with Sucker Punch she delivered like I never could have expected. Much like last year, I changed my mind of what song would be #1 on my end of year list as I was forming the top 40. Unlike last year, Make Me Feel had been at the top spot from the moment I heard it, right up until I heard Sucker Punch. I really do love the Sigrid song, but in the end I recaptured the feeling that Janelle Monáe’s crowning achievement gave me back all the way back in February. From the very start and I mean the first few seconds you know Janelle is not messing around. The crunch of a bassline that can only be described as filthy, while the snaps of fingers set you up for the first blast of Keytar. Every moment is so sharp and direct, there’s no mixed metaphors or deliberation over anything, Make Me Feel is to the point. Each hook is delivered with a that same precision, while ‘It’s like I’m powerful with a little bit of tender, An emotional, sexual bender’ sets the scene. Janelle wants it and once the song hits the 2 minute mark how you could possibly not want it too is beyond me. The delirious funk of the riff here ends any preconceptions and remains one of the greatest music moments of the year. From here the song doesn’t let up until a final sudden drop. Make Me Feel is soulful, sensuality at it’s best and dripping in funk like nothing else this year. Throughout her career so far, Janelle Monáe has often been compared to the legends that inspired her, James Brown, Michael Jackson and of course Prince. With Make Me Feel she’s not just inspired by these people, she’s on their level. The greatest moment for one of the decade’s most engaging performers, Make Me Feel gave me more than any other song in 2018.